A fashion student has two of her creative designs displayed at the opening of a new creative hub in north Manchester. 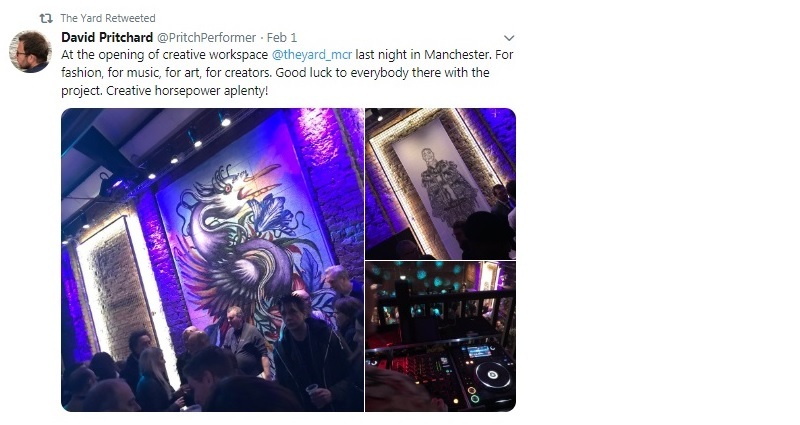 Morgan Allen, who is in her third year of a Fashion Design and Technology degree at Manchester Metropolitan University’s Manchester Fashion Institute, was invited to exhibit at The Yard, a converted former Victorian school building in the Cheetham Hill area of the city. The Yard aims to be the new home to some of Manchester’s finest creatives, from industries such as fashion, film, music, photography and media, and boasts a recording studio, exhibition space and performance areas to offer a unique working environment that promises to foster and cultivate collaborative projects. 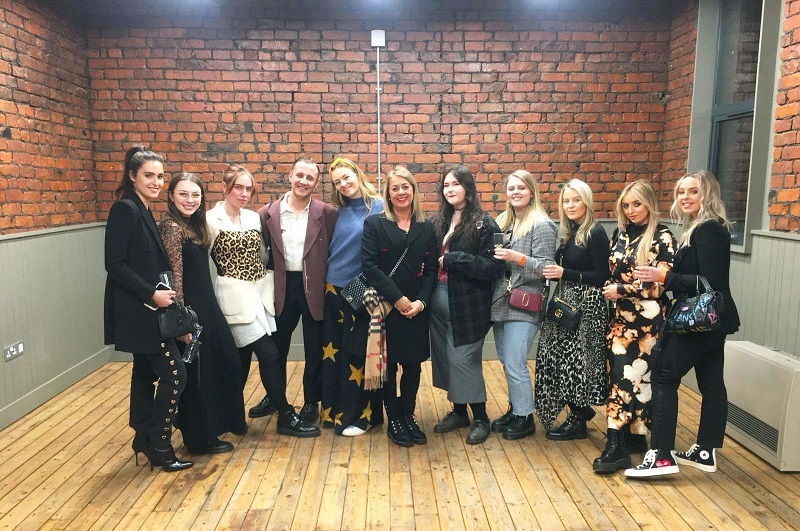 Many Manchester Metropolitan students from creative and business courses were invited to the opening of the refurbished building, and Caroline Herz, Head of Placements and Employability at Manchester Fashion Institute, joined the final year students in admiring the new hub. Morgan said: “As a fashion student it’s difficult to get your work out there as it’s a competitive industry and when you graduate you don’t always have the backing as a designer unless you have a Masters or something behind you. It is not only The Yard that has recognised Morgan’s talents however, as she is a finalist in a International Foundation of Fashion Technology Institute competition and in the British Fashion Council x Nabil Nayal competition. Caroline Herz said: “We hope that our students are able to fully utilise this space to its full potential and that the exclusivity of the space for our students and graduates provides a platform for them to potentially develop their own businesses. The Yard is owned by Mark and Jo Hamburger, who inherited the building and decided they wanted to give back to their city and bring inspiration to the area again. They chose Morgan Allen’s work to be displayed on the walls of the building to a focal point of the launch event. Mark said: “We aspire to be home to some of Manchester’s finest creatives as well as offering space to local start-up businesses. We are offering a unique working environment that promises to foster and cultivate collaborative projects without a corporate feel. "We will be championing creative industries such as fashion, film, music, photography and media and our tenants will have the facility to showcase and exhibit their work.